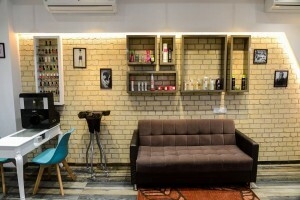 Kaizo Salon N Spa - Kurla Mumbai - Kaizo is India's one of the trendiest unisex salons which provide a plethora of beauty & grooming services with professional stylists & beauty experts. 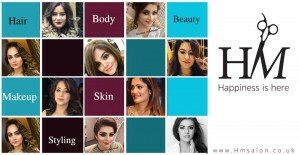 Kaizo is India's one of the trendiest unisex salons which provide to the modern Indian people a plethora of beauty and grooming services with professional stylists & beauty experts. Kaizo offers world-class services and products at affordable prices. A place you can always check in to get a full makeover. The ambiance is chic and classy, a place you’ll love, where you can relax and just be yourself. Walk in for a personality lift. We’ll make you feel proud of your looks. Running around fulfilling errands during festivals can surely get tiring after a point. Post this Ganesh Chaturthi, treat your body to a relaxing massage only at Kaizo Salon N Spa! Salon 1 - Shop no. 12, Matruchaya building no.5, Tilak Nagar, Chembur, Mumbai - 400089. Contact - 02265694449. Salon 2: 18, Anand Mangal CHS, Sainath Nagar, LBS Marg, Ghatkopar (W), Mumbai - 400086. Salon 3: Shop no. 16, Vallabh Society, 90 Feet Road, Ghatkopar (E), Mumbai - 400077.